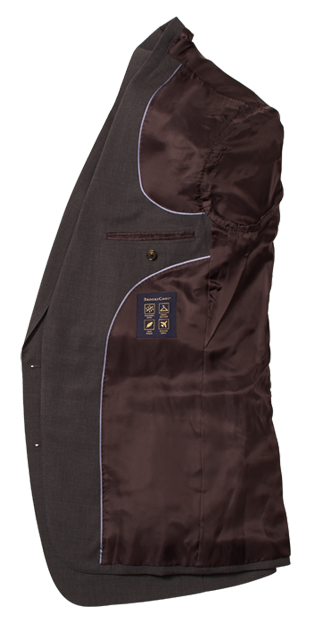 Once a standard travel accessory, the garment bag has been replaced by the more efficient carry-on. 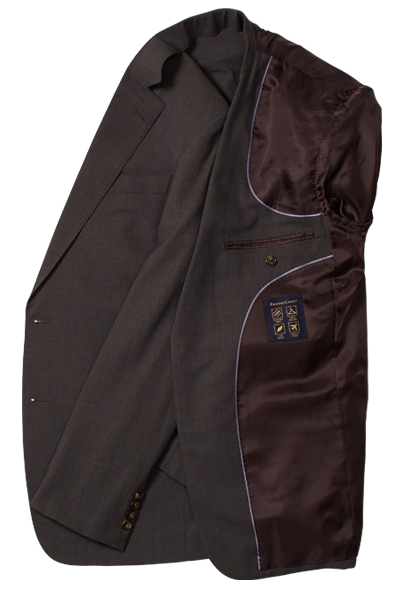 Making the most of limited packing space is a skill that saves you time and keeps your suit fresh and pressed. Bonus point: You skip the baggage claim and gain time to prepare for the big meeting. Our experts share six simple steps for packing your suit like a jet-setter. Interested in expanding your wardrobe? 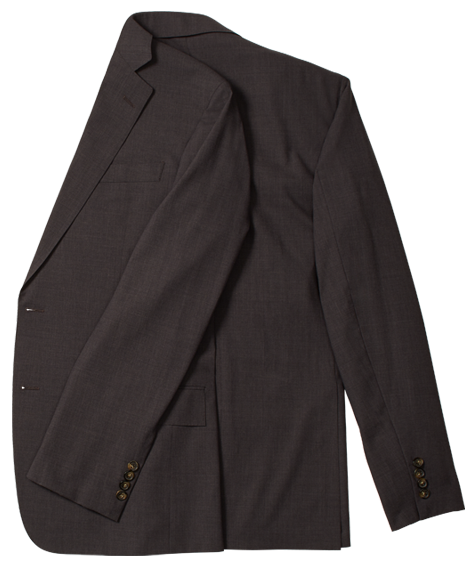 Explore our men’s suit collection. Lay suit face down on a flat surface. 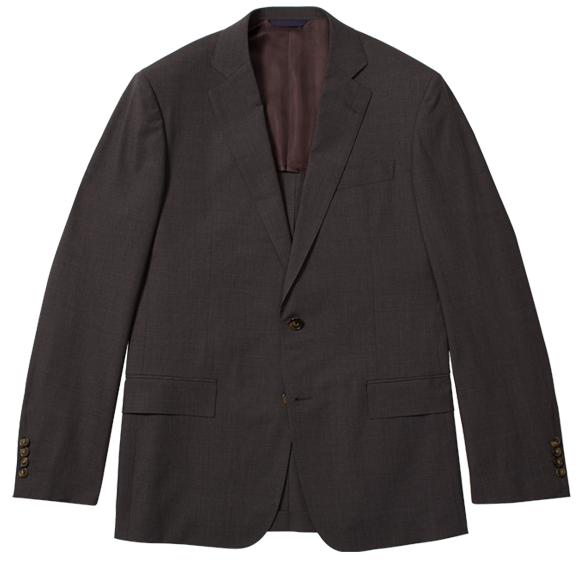 Place folded jacket in center of outstretched trousers. 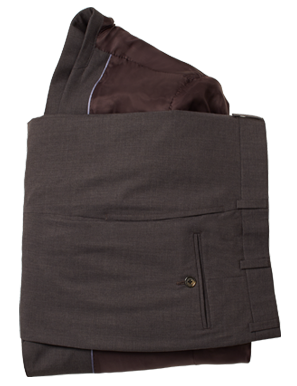 Fold trouser bottoms over jacket and repeat with top of trousers. Using the protective plastic cover from your dry cleaning, place your folded jacket (after step 5) in the top of the bag where the hangers are typically gathered. Lay this on top of the outstretched trousers. The plastic will keep the fabric from rubbing against itself and causing wrinkles.